The Estate of the Artist. 2004, Caziel: Abstraction 1963 - 1967, Whitford Fine Art, London; 2018, Caziel: Paintings 1963 - 1967, Whitford Fine Art, London. MONKIEWICZ, Dorota. 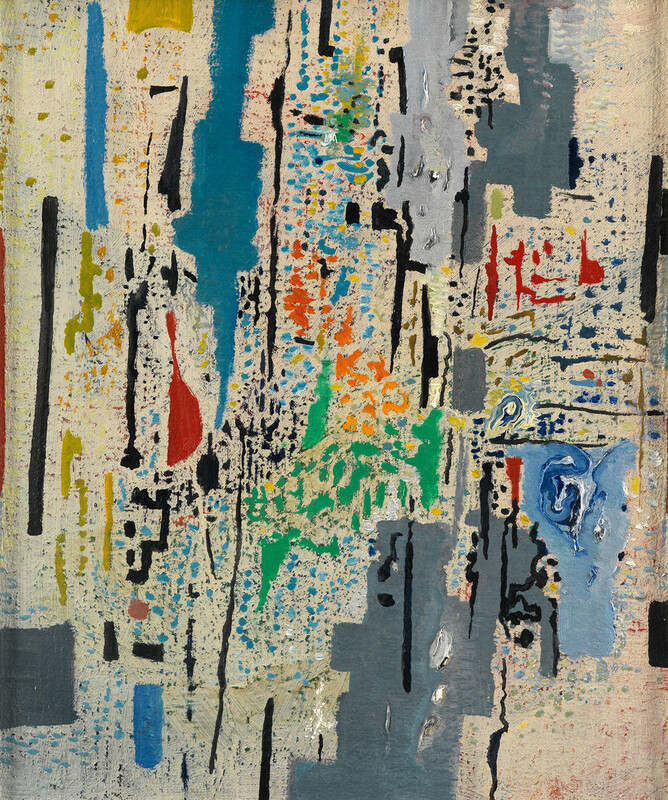 Caziel 1906-1988, Catalogue Raisonné. National Museum, Warsaw, 1998, IB 231, cat. no. 439, p. 58; Caziel: Abstraction 1963 - 1967, exhibition catalogue with introduction by Clementina STIEGLER, Whitford Fine Art, London, 2004, ill. pl. 9; FERMON, An Jo. Caziel: Paintings 1963 - 1967: Painting Lacerated Rhythms, exhibition catalogue, Whitford Fine Art, London, cat. no. 1, ill. p. 6.